Yes, I’m still that jackass who walks around with a bluetooth headset on his ear. 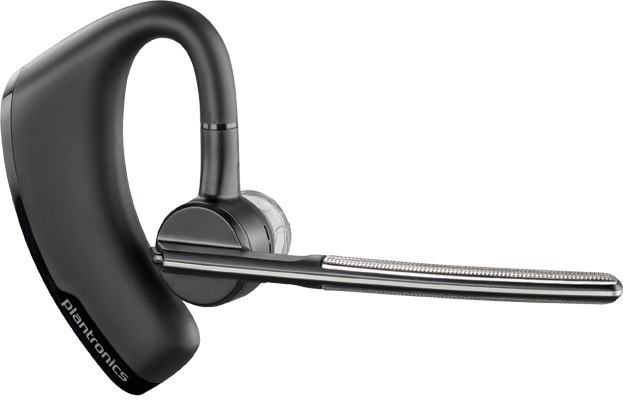 After more than a year using the Voyager Legend bluetooth headset from Plantronics, I still love it. Between its ability to connect with my phone and my laptopt simultaneously and the fast handoffs with the phone, I find it one of the most useful devices I own. I spend a lot of my time at work talking on the phone (such is the life of a client-facing technologist), and I also listen to a lot of NPR podcasts, so you can almost always find me with the thing stuck in my ear. I’ve even convinced my wife and sister-in-law to get themselves one. I’ve had just one complaint… the wind noise. The headset has great audio quality and picks up my voice extremely well, but it turns out that it is incredibly sensitive to wind. I remember the first few times I ran in to it. I had to join a conference call while out of the office, so I was in the entryway of a building. It was sunny and I stepped outside as the call continued. Then, people began to complain that someone was picking up wind noise, and would whoever it was please mute their phone. I couldn’t hear any noise, and there was no breeze, so I assumed at first that it wasn’t coming from me. The boom microphone is so sensitive to your voice that it picks up even the slightest breeze and transmits a loud “rushing sound” to whomever you are talking to, but you can’t hear it. You can’t even feel any breeze and it still somehow picks it up. I looked a bit online and found other people complaining about the problem, but no fixes. So, it has been great for listening to podcasts outdoors, but not talking. And I have had some pretty laughable attempts as I walked to my car to try to get Siri to send a text message to my wife to let her know I was on my way home. I’d say the problems were 25% Siri and 75% wind noise from the headset confusing her. Hmm, that sounded promising. The wind noise problems were so bad that I didn’t think 4x was likely to make enough a dent, but I figured it was worth a shot. I upgraded the firmware and took it for a spin outside. It turns out that 4x is more like 4000x. The wind noise reduction is excellent. Over the past few weeks, I have made phone calls in heavy wind and even blowing rain storm. No wind noise at all. (Fun tip – if you want to test your microphone quality for things like clarity or wind noise, leave yourself a voicemail and then play it back). It kind of blows my eye that they are able to pack so much signal processing power into the tiny piece of electronics that I can hang on my ear. I’m amazed that such a serious wind problem can be corrected with a firmware update. So, if you have a Plantronics Voyager Legend and are having wind noise issues, go update the firmware. This entry was posted in Uncategorized and tagged home technology, iOS, iPhone, mobile, npr. Bookmark the permalink. I have installed the latest update, however, the disturbance due to wind coming from a ceiling fan is not cancelled at all when a person sits under it with Voyager Legend. Requires immediate software update if it can solve the problem. I am also experiencing similar issues with the headset wind and surrounding disturbance is killing the voice call. Can anyone help me to fix this. My headset updated to latest version of firmware 106 still problem persist. Appreciate any help or assistance to fix this problem or should I revert back to old version??? I tried to reset BT in my phone and looks like the disturbance has gone. Will have to monitor the device for some time before jumping to any conclusion. We are having problems with ours charging. Worked good the first day for about 4 hrs then never could get it to stay charged long.